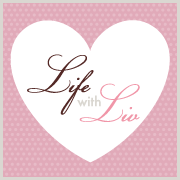 Life with Liv: Need some Christmas gift ideas? Check out my Gift Guide! Need some Christmas gift ideas? Check out my Gift Guide! With November coming to greet us this Weekend, thoughts will inevitably start to turn to Christmas. The shops are full of Decorations and the Christmas songs will soon begin - exciting times! 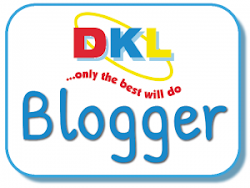 What is not exciting however is coming up with the perfect gift for loved ones. Never fear, I have some great idea's for you below. Enjoy! How about a fantastic photo on wood from Albelli? I have lots of canvases and framed photographs but I had never heard of a photo on wood before Albelli contacted me. There are many variations on size and shape, right up to 120 x 80 cm for £199.95. We love ours and everyone that has seen it has remarked how lovely it is and that they have not seen anything like it before. A brilliant Christmas gift! This Heart and Home Christmas burner soon had our whole house smelling of Christmas! It looks beautiful in clean white, is very easy to use - simply place your tart in the top, light your candle inside, admire the beautiful lighting and wait for the aroma to make you feel all Chritmassey! 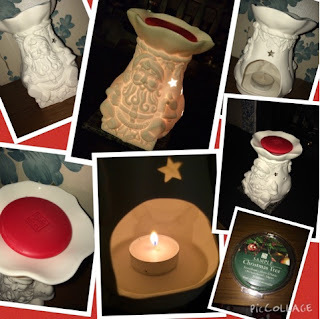 With the Wax Melt Warmer priced from £6.99 - £14.99, there is one for every budget. I have already asked Santa for some new wax melts. I hope they are in my stocking on the big day! Whether you are stocking up or buying gifts, you can't go wrong with the Aldi drinks range! 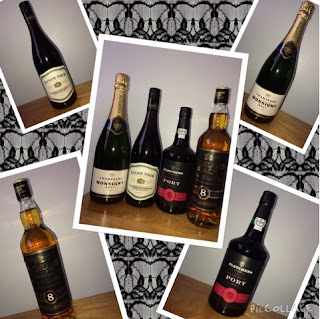 Very competitively priced, beautifully labelled and delicious to drink, there is a huge range of drinks to choose from. We are very lucky to have been sent the delicious Port (£6.49) we always make sure we have a few bottles in over Christmas as all of our Family and Friends love to partake in a glass or two with some cheese and biscuits. My Mum isn't a lover of Port so luckily her we also her favourite wine, a classic Pinot Noir (£4.39) also perfect for cheese and biscuits. The Champagne (£9.97) is of course a tradition with Christmas lunch, back before Olivia was born, Daddy tried to start a new tradition of having Champagne with breakfast on Christmas morning. That tradition lasted one year I can tell you! This Highland reserve Whisky (£12.99) is one of my Husbands favourites. He loves nothing more than finding a bottle wrapped under the Christmas tree. Who knows, maybe he will get lucky this year! Do you have a huge golf lover to buy a gift for? 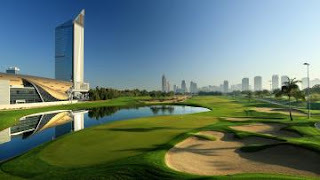 Would they love to play head off to play Golf in Dubai? I bet they would! With courses from just £29 per player, you could be relaxing by a beautiful pool while your other half is off playing his favourite sport, or maybe even a joint gift for your Parents? You could book your Mum into a spa, or send her off shopping to Souks while your Dad hits the golf course - what a Christmas Gift! Now I know some people would not appreciate an appliance as a gift but I would be more than happy to receive an upgrade that matches my kitchen! Once upon a time everything matched in my kitchen, now when something breaks it is replaced with what we can afford at the time. So it makes me so happy to see a lovely matching set that I have before and will again had such things on my Christmas list. It has been 60 years since Bill Russell and Peter Hobbs introduced families to the world’s first electric kettle with automatic switch off? 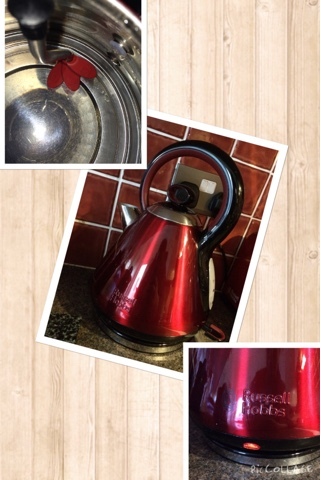 This lovely Russell Hobbs legacy kettle not only looks ever so stylish, but it is also very good at it's job. It can even rapid boil enough water for one delicious hot drink in just 45 seconds! This is ideal if you need a hot drink fast or you’re just making one cup. The kettle has a perfect pour spout, making sure all of the water goes into the cup with fewer splashes and a lovely soft grip handle. I really love the look and efficiency of this kettle and will definitely be adding the toaster and coffee machine to my list for Santa. Liv loves jigsaw puzzles, so when we were offered the chance to review a Wentworth Christmas Friends Jigsaw Puzzle, I jumped at the chance! When the box arrived it became clear that this was a box of traditional wooden puzzles - with a twist! You see the shapes are very different from standard puzzles. They have snowflakes, Reindeers, Teddy bears and more. The pieces around the whimsically shaped ones are shaped to fit around them, making the puzzle even more interesting! If I am honest it was too difficult for Liv to complete on her own, but we had great fun doing them together and I'm sure she will soon be able to do them alone. These are fantastic quality and will last for years unlike many cheaper versions. 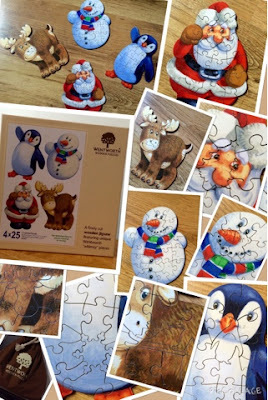 Priced at £25.95 for four 25 piece puzzles. 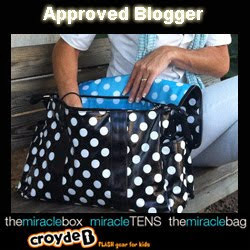 Keep your eyes peeled for my next Gift Guide for more ideas.